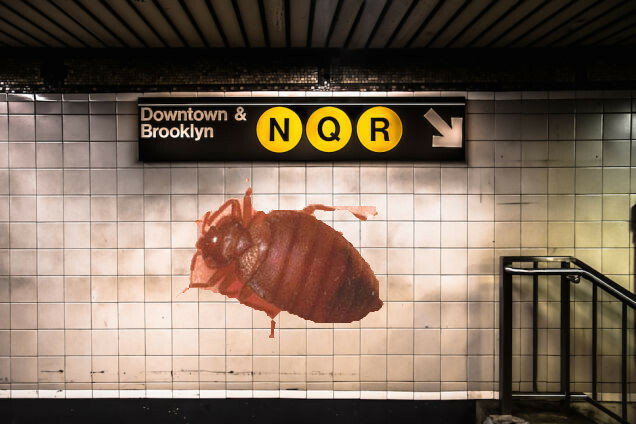 Gawker: If you’re a regular commuter or tourist in New York City, here’s some exciting news: Earlier this week, MTA officials discovered that three N trains were infested with bedbugs. The New York Daily News reports that two of the trains were taken out of service while a third was sent for fumigation. “When we found them, we exterminated them,” Metropolitan Transportation Authority spokesman Adam Lisberg told the Daily News. At least some of the bugs were found in the cabs used by the trains’ motorman and conductors; it’s not clear if any were discovered in the passenger area. Theyyyyyyy’re baaaaaack! Let’s be honest, they never went anywhere but it’s been a while since the last big outbreak of bedbugs in NYC. Let’s just put this on our list of things this great summer has brought us like sweltering heat, sky rocketing rent, and possible Ebola. What was it Frank Sinatra said? If you can make it here, you can make it anywhere? Yes, I’m starting to think that is very true!